You guys, I'm so excited about today! I've literally been waiting months to share this with you. I can't believe the day is finally here. This vegan lentil bolognese. Seriously, who would have ever thought? It sounds like some second-rate version of a delicious traditional bolognese. That's what I figured when I started creating the recipe. Honestly, I have some big-time doubts. It turns out, it's the most delicious pasta sauce ever. Chickapea Pasta. See that penne the lentil bolognese is sitting on? That is my fav new pasta and it just so happens to be gluten-free and made with only two super HEALTHY ingredients. Crazy, right? What's even more insane is that it is really and truly totally delicious. Let's face plant straight into a bowl of good for us pasta and come up with giant smiles on our faces. 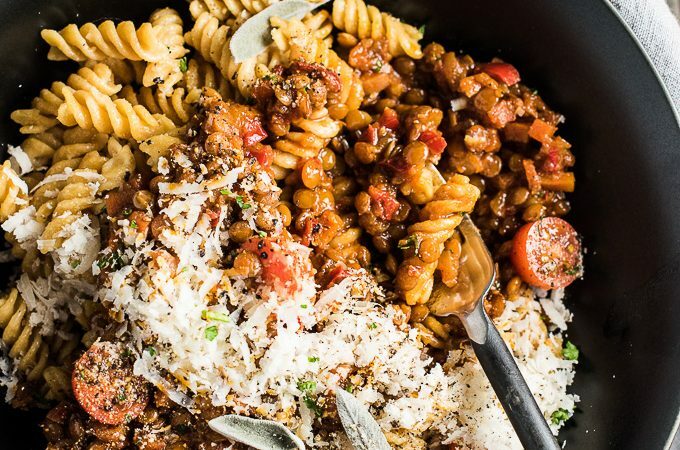 This lentil bolognese is out of the world awesome because of one thing: caramelization. Yep, that's it. That's the ticket. I knew that to make this recipe crazy delicious, I'd have to pull out the big guns. You see, when you make a regular bolognese sauce, all the emphasis is on the meat. Since meat has so much flavor, the other ingredients are there only to back up the beef. Lentils, on the opposite side of the flavor scale, are basically flavorless. They offer so little in the flavor department that all the other ingredients need to step up and take over. To really shine, those other ingredients (I'm looking at you, onions, carrots, and bell peppers) need to cook low and slow in a decent amount of healthy oil until all their sweet natural sugars caramelize and the flavor totally pops. If you rush this step, you'll know in the end result. Once the veggies are super caramelized, we take it one step further and caramelize the tomato paste. This sauce is all about layers of flavor. For one more umami punch, I've added miso to the mix. While it can be tough to mimic the richness of a traditional meat-based dish, this one nails it. The other thing that is out of the world amazing: Chickapea Pasta. I've fallen hard, and there's no looking back. To be totally honest, we eat very little pasta here. It's not that I don't like pasta (I love pasta), it's just that I can't bring myself to serve a bunch of white flour on a daily basis. Now that I'm serving dinner to my little girl, I'm even more conscious about what I bring to the table. This pasta (which happens to be gluten-free, although that's not why I love it) has changed how I feel about pasta. It's made with only two ingredients, and both are totally healthy: organic red lentils and organic chickpeas. I don't know how they do it, but they manage to take those two things (and only those two things!) and turn them into some of the best penne, spirals, and shells. It's like magic. Chickapea pasta is a bit hardier than regular, white-flour pasta. The texture is very similar to whole-wheat pasta. And, like regular pasta (but not like some gluten-free pasta), the flavor is neutral so you can pile on any sauce you like and know that it will go together well. My biggest fear when I first served this, is that I would love it but my handsome man would hate it. He would eat white flour pasta every night if I didn't beat him to the kitchen to start making dinner first. He even once got up from the dinner table to make himself ‘real' pasta rather than eat the gluten-free stuff I served. ? When he declared Chickapea Pasta as being, “actually really good” I knew it was a winner. I've joined up with the Chickapea Team and will be sharing Chickapea Pasta recipes from the other team members on social media. Are we friends on Facebook and Instagram? I hope we are! That's where I'll be sharing links to the other recipes. Heat the olive oil in a large skillet over medium heat. Add the onion and cook until it starts to soften, about 5 minutes. Add the carrots, red pepper, sea salt, and sugar to the skillet and continue to cook, stirring occasionally, until everything is well caramelized, about 15 minutes. Add the garlic and tomato paste to the skillet and let it cook until the tomato paste is caramelized and fragrant, about 3 minutes. Add the miso, lentils, and water to the skillet and bring to a boil. Reduce the heat and let the lentils cook, uncovered, for 25-30 minutes, or until they are soft. Stir the lentils occasionally and add more water if they are looking dry. Stir in the cherry tomatoes. While the lentils are cooking, bring a large pot of well-salted water to a boil. Add the Chickapea Pasta and cook until al dente, about 5-6 minutes. 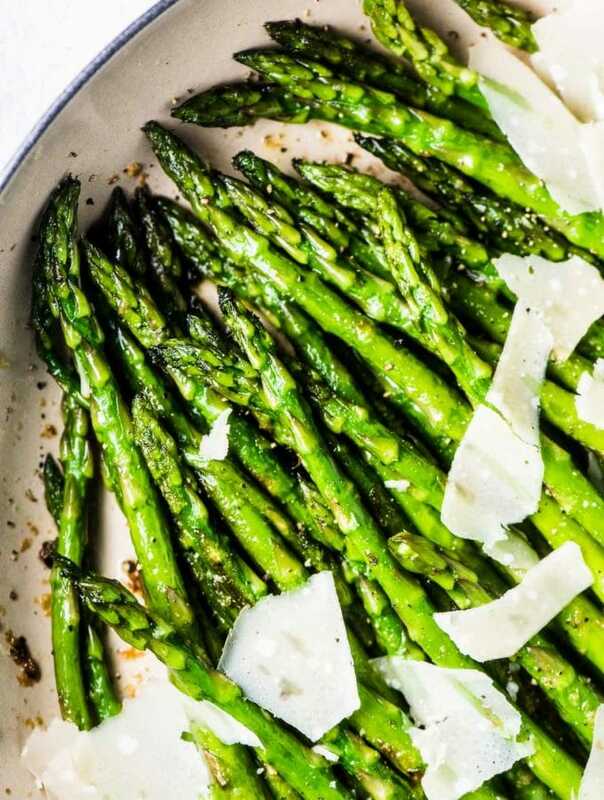 Drain and toss with a little olive oil. 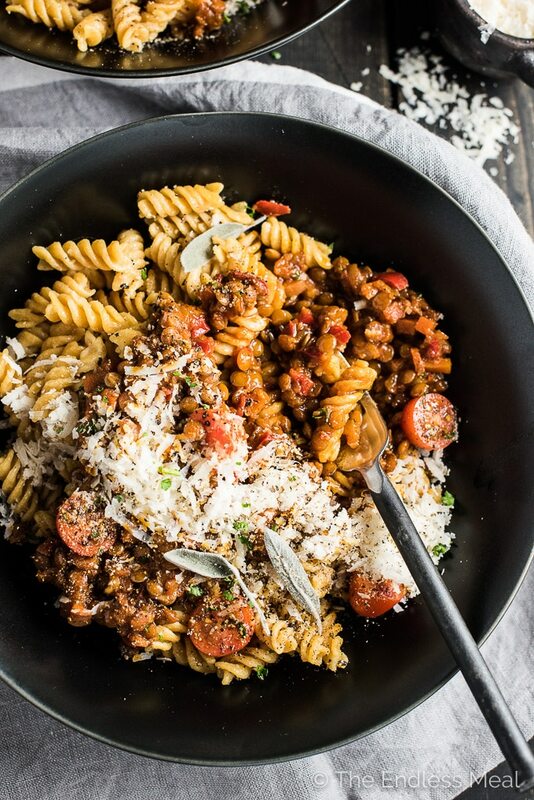 Serve the penne topped with the lentil bolognese and sprinkled with parmesan and a few sage leaves. Excited about trying this! Quick question. Do you know what one cup of lentils is in g and what four cups of water is in ml? Thanks. Both my meat-loving boyfriend and I loved this recipe (“It’s true, I really liked it”, he says as he reads over my shoulder). I added red wine and soaked the lentils for a couple of hours beforehand, which made the cooking process faster. Thanks for the great recipe! You know a vegan recipe is a winner when it’s won over a meat lover! A new entry into our regular rotation of recipes. The only substitution I made was using veggie stock instead if water just because I had some on hand. Would absolutely reccomend this! Do you have to soak the lentils first? 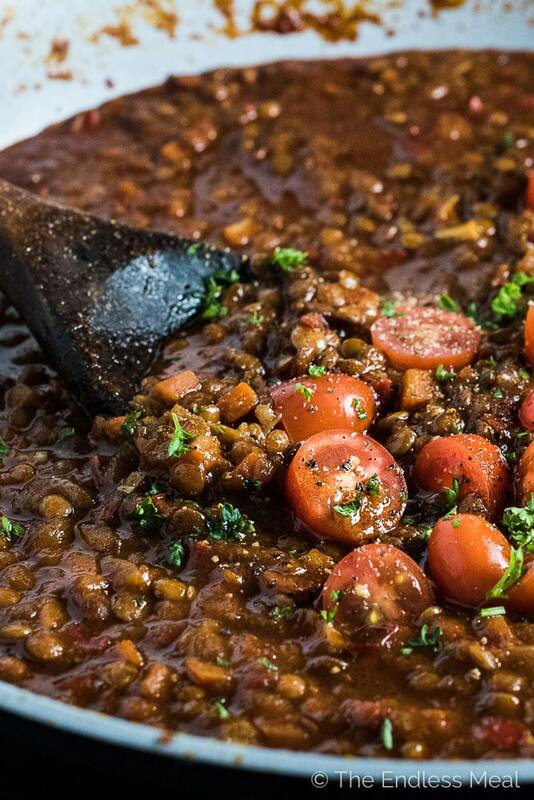 Lentils shouldn’t be cooked until they’re like mush anyway. They are a legume so should still be a bit firm when cooked. More like al dente legumes. I haven’t tried it but I suspect it would work. The only thing is that I would make sure to caramelize everything first – like in the recipe. So much of the flavor comes from this step. The flavor was good. But I cooked it for 45 minutes and the lentils were not done. Added more water, cooked some more. Turned it off and went out. Came back, added more water, cooked another half hour and then gave up. The lentils never softened. Terribly frustrating. Loved this recipe. Freezes beautifully. Made it with rice and was perfect. I found I needed much longer to soften the brown lentils and the carrots. Do you have any idea of the nutritional breakdown for one serving. Calories, Carbs, Protein etc? Would you say this recipe freezes well? And how many days in the fridge? Eager to try it and would love if I can use it for meal prep! My meat-mad family LOVED this meal- hubby, miss 6, master 2 and myself gobbled this up with zest. We used quinoa rice spaghetti. The lentils were not fully cooked after 30 mins, so I think I needed to up the pan temp or cook for a bit longer. The meat was NOT missed in this meal! It will go into the family cookbook to be eaten once a fortnight! So delicious I woke up the next morning thinking about whether to have the leftovers for lunch or dinner! Didn’t have brown lentils, so used green and they took a lot longer to soften, leading to the necessity of adding extra veggie broth. Other than that, made it exactly as written. Have already referred it to friends who have loved it as well. Thank you so much for the wonderful recipe! That makes me so happy to hear! Hooray!! Great call on adding wine! You can never go wrong with wine and pasta! Great call on the red wine! And pasta is always the perfect reason to open a bottle – not that I really need a reason lol. So happy you liked the recipe! Hey, so keen to try this recipe as it sounds amazing! Just wondering if tomato paste is the same as tomato puree, which is what we have in the UK? Usually puree is double concentrate stuff from a tube, but I haven’t heard of tomato paste. Would I be able to get around this by adding tinned tomatoes plus tomato puree or something? Thanks! I just did a quick Google search and it looks like tomato puree is not as thick as tomato paste. I would use it but use a little extra. Then let it reduce a bit. I suspect that once it reduces it will caramelize the same as tomato paste does. I hope that helps! Absolutely delicious. Will be king is again. I can’t wait to try this recipe! I am curious about cooking times with canned lentils or would this not be the best route? I made this lastnight and let me tell you how DELICIOUSLY RICH this is. The only thing i didnt use was the miso. I subsitutied half a tablespoon of soy sauce. This is going to be my replacement bolognese sauce forever. Hands down. Thank you so much for this recipe !! I made this dish yesterday and it was delicious. I didn’t have miso so I used some soy sauce instead. I also grated the carrots instead of chopping them and I used regular pasta. Next time I think I will reduce the amount of sugar a little bit – but overall a really delicous recipe!! Love the sound of this!! Just wondering, will the bolognese keep for long in the fridge/freezer or is it best to eat straight away? I have black lentils do you think they will work in this dish? I am so excited to try this recipe! I was just wondering if you think omitting the miso would dramatically change the dish? Miso helps to make it extra rich, but you can definitely omit it if it’s not something you keep on hand. This recipe is soooooo tasty! I tried this tonight and it was rich and delicious. We made it low in fat by removing the oil and caramelizing the veggies with beef flavoured broth. It also paired well with spelt pasta – what we had on hand. Next time, I’ll try a spin and add some red wine during the caramelizing process. What a great idea! I’m so happy the recipe was a hit! It is so good, isn’t it?! We’re totally sold. Nice call on the miso vegetable soup + Chichapea! I love this and how great to have another vegan alternative. I have vegan friends and family and looking for new dishes to delight them with. So beautiful! They’re going to love it! We’re not vegan either but do love to eat meat-free a few times a week. It’s nice to have some vegan recipes in your repertoire isn’t it? I won’t lie Kristen = I had the same reaction to Chickapea Pasta when I first tried it as your handsome man (I love that you called him that haha)… I was like “wow. healthy pasta is actually good”. I was doubtful at first – being someone who eats gluten by the fistful. But I don’t even buy wheat pasta now – I’m a total Chickapea convert!! AND THIS LENTIL BOLOGNESE. Good lord woman!!! Gimme. Pinning all over the place! PS. Caramelizing tomato paste is one of my favourite tricks – it adds SO much flavour to a dish. I’m so loving the reaction people are getting from Chickapea. Amazing!! Thank you so much for the pins!! It really is the perfect winter meal … which is still hanging on here on the west coast, too! You could sub red or green lentils. Just make sure the red lentils are not split or the will turn to mush. I just want to dive right into that dish! You did an amazing job turning one of my favorite meat sauces into a guiltless pleasure, love it! (Caramelizing the veggies is such a neat trick.) And we’ve fallen in love with Chickapea pasta here, too! Thanks, Sue!! Amazing how awesome Chickapea Pasta is, isn’t it? Can’t imagine living without it now!! 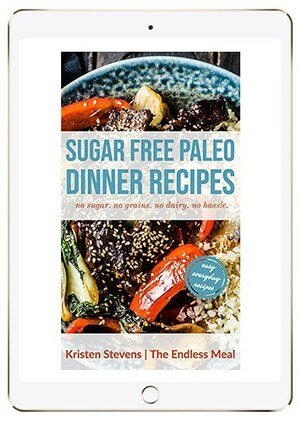 Wow Kristen – this is a brilliant way to enjoy a bolognese without the meat – which I don’t care for anyway! We are thrilled with Chickapea Pasta and this beautiful dish is going on my list of must make recipes. Meatless Mondays don’t get any better than this! 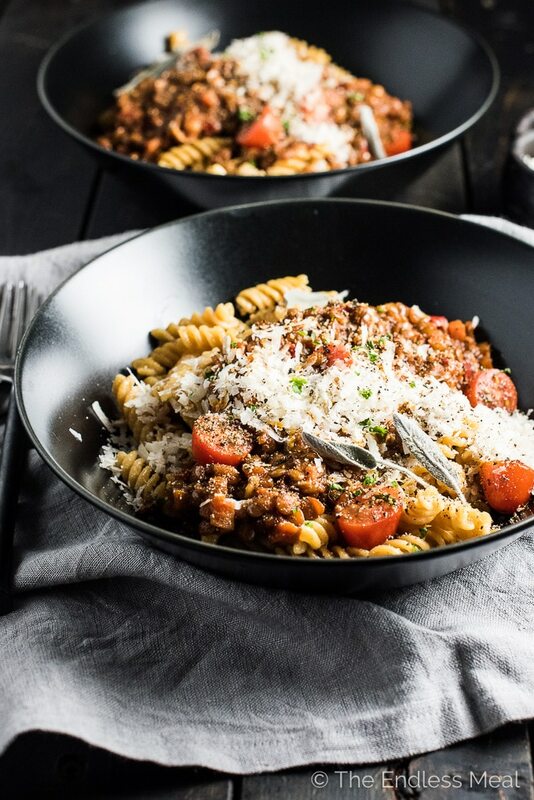 I love a traditional bolognese so was actually quite surprised how rich and delicious this vegan version is. You definitely don’t miss the meat. We’re thrilled with Chickapea, too. Absolutely loving it!! This looks crazy delicious! Loving all the veggies mixed up in this gorgeous sauce. 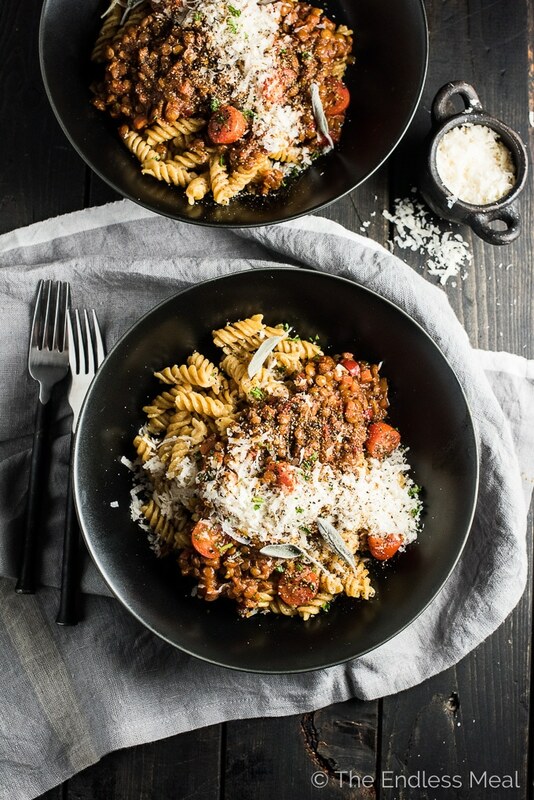 This bolognese sounds incredible and I love the addition of miso! I’m loving Chickapea pasta and feel so good about preparing it for my family! 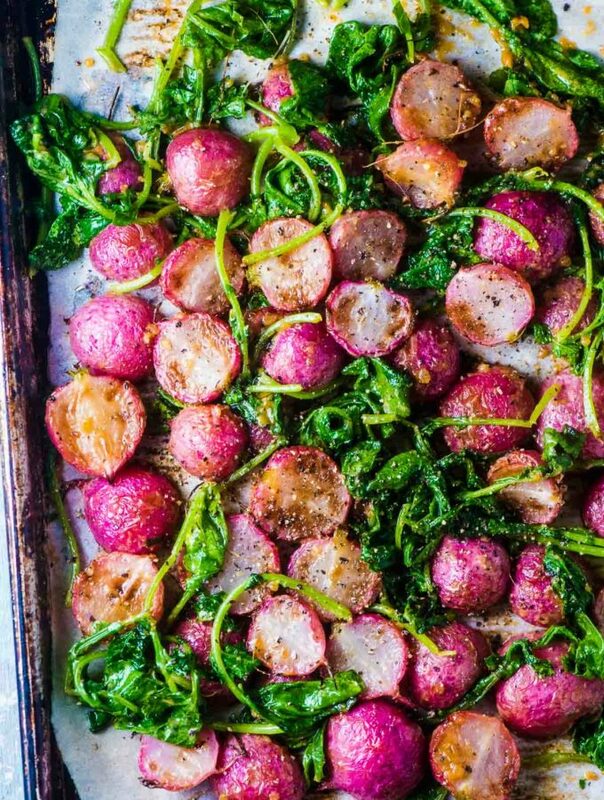 This dish is definitely going into my meal plan! Thank you so much Marcie! I’m so loving Chickapea pasta, too. It feels great being able to indulge and feed my family well. I hope your family likes the lentil bolognese as much as mine does! Caramelizing all the ingredients makes such a big difference. I know you’ll love this dish! And yes, my mind is racing with new ideas for sauces to top Chickapea pasta with. So great to hear you love it, too!